If you cannot find that perfect coloured fabric to match your quilting, patchwork, sewing or home decor project then why not custom dye your own fabrics. These fabric dyes can add depth and texture in exactly the colour and tone you want. Rit started their lives shortly before World War 1. Charles C Huffman began experimenting with fabric dyes for use in the home, starting with mega equipment and a vacant store in Chicago. Huffman had a new product ready for market in 1917 which was a dye with soap that would dye and wash at the same time. The product was named Rit in honour of a friend, Louis L Rittenhouse, who had helped financially and became the first Vice President. With so many diverse synthetic fabric dyes on the market, Rit introduce Rit DyeMore, a dye specially made for synthetic fabrics like polyester, polyester cotton blends, acrylic, and acetate. 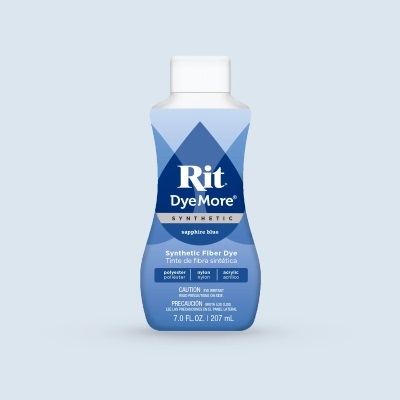 And like our All-Purpose formula, DyeMore is non-toxic and perfect for use in the home. No matter what you plan to dye, whether it’s a pair of jeans or set of curtains, the first step is to choose the right dye for your fabric or material. 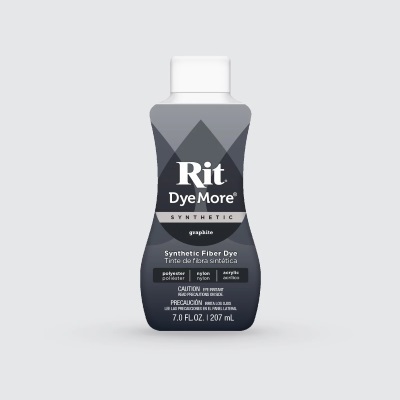 Always check the care label for the fiber content of the item you plan to dye. To determine how much dye is needed, weigh the item to be dyed on a food scale or estimate the weight. As a general guideline, one bottle of Rit DyeMore will dye up to two pounds of dry fabric. 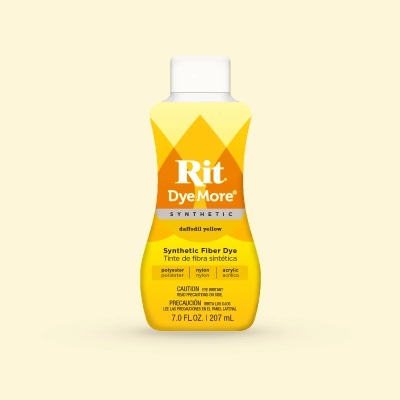 If dyeing 100% polyester or trying to achieve a very bold color, double the dye quantity. Cover pot and heat water on stove top to just below boiling (or 210 F°). For more details and a video direct from Rit click here.